Late night meals. I never know what to do when I get off work and I’m hungry. Too many times I have stopped at McDonalds in Wayland on my way home, but that gets old….real fast. Somewhere on Twitter, I noticed that a bar near campus has half off burgers on Monday. I like burgers, I like half off, and since it’s a Monday, I don’t have to worry too much about the rowdy college crowds. I headed home first to drop off my work car so I could enjoy a cold one then headed back towards WMU. AFB takes up three store fronts in the Campus Pointe Mall. Most recently, one of them was Pop’s Italian Beef & Sausage, another was last Geno’s Golden Pizza, and I don’t really remember what the third space was. The Pop’s portion is pretty much a large game room with pool tables and several HD TV’s all tuned to sports. The entrance to the bar is at the old Geno’s locaiton. The main bar and dining area is in the third store front. 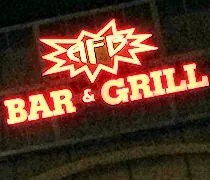 AFB is a college sports bars. There are TV’s covering almost every inch of wall space. There is a huge 360 degree bar near the windows with a large dining room situated behind that. While the main purpose of the space is a college hangout, I was surprised to see a large stack of high chairs and booster seats behind the security guard that was checking ID’s near the door. Before 8:00, when they start checking ID’s, it actually looks like this could be a pretty family friendly place and a great place just to hang out and watch a game. I was just in the mood for a quick beer and a sandwich, so I sat down at the bar and ordered an All-Day IPA and asked to see a menu real quick. 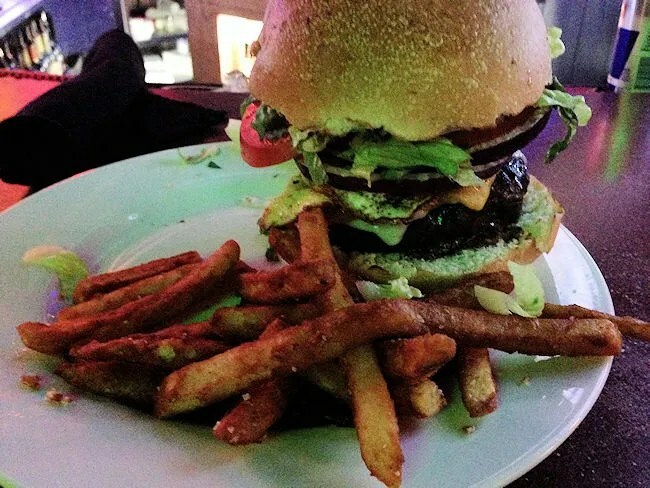 I knew it was half off burger night, so my eyes went straight to that section of the menu. I ordered the Morning Grind Burger. All of the burgers are 1/2 lb ground Angus burgers that can be upgraded to a full pound for a couple bucks. I passed on that. The burger I ordered came topped with a fried egg, Swiss cheese, cheddar cheese, lettuce, tomato, and onion. It’s served on a toasted bun with chips, but for an extra buck, I upgraded to fries. The sandwich came out when I was about halfway done with my beer. With all of the fixin’s piled on, the sandwich was huge. I really wasn’t too interested in the tomatoes and onions, so I put them off to the side of my plate and smashed down the remaining toppings in to the juicy, medium-rare burger. The fresh meat from the burger held in a perfectly juicy, pink center that was enhanced by the greasy, fried egg hidden under two layers of cheese. The owner was walking around chatting up the regulars and stopped to introduce himself to me mid bite. All I could say was “umph-mmpph-delicious” and I meant it. The sandwich was really tasty. The fries were the beer battered variety and the only downfall is the portion was pretty small for the upcharge. There was only a few fries on the plate, but fortunately, the burger was enough to satisfy the hunger that I had been holding in for several hours. My bill was just over $10 which I actually paid for before I got my food. 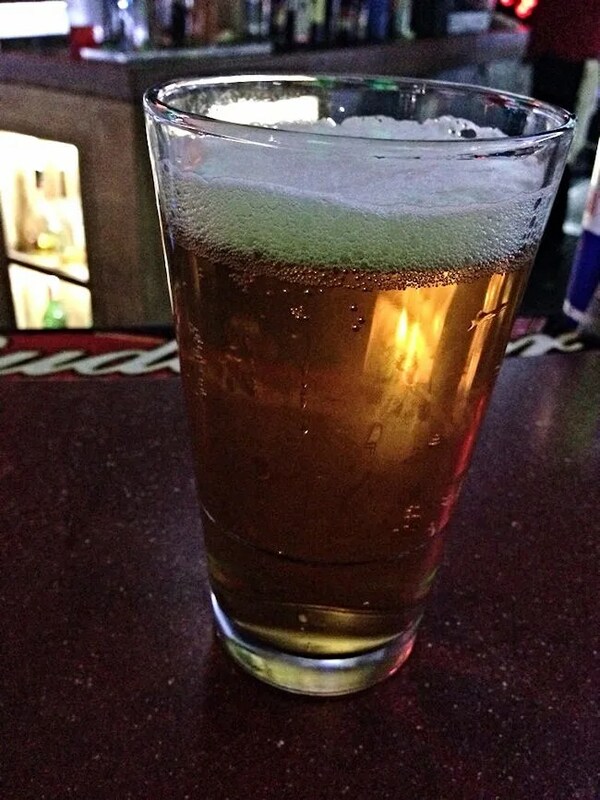 I was sitting at the bar, so the bartender just treated me like I wasn’t opening a tab. That was fine because I really just wanted a burger and a beer then I needed to get home. 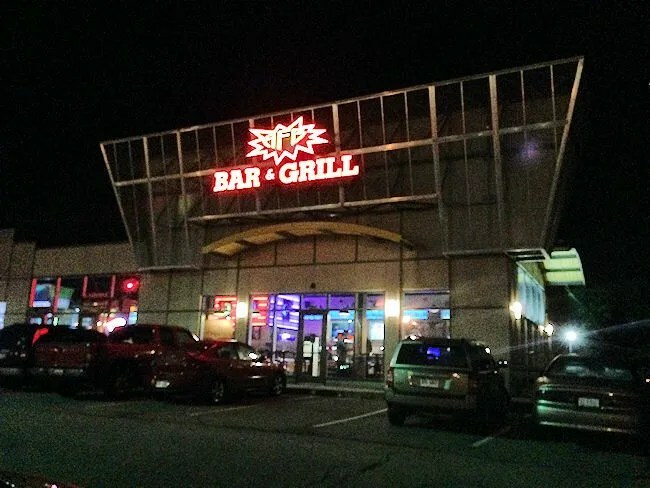 AFB Bar & Grill isn’t just for the college crowd. Sure, it’s within walking distance of campus and several student apartments, but outside the typical drinking hours, the place is also a really cool sports bar with a way above average pub food menu. Thanks. I drove by there not too long ago and still saw the AFB branding. Will have to check it out if it’s changed.